It has been a long time since I posted a blog but now is as good a time as any to get back into it. 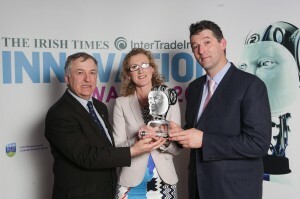 Goatsbridge Trout Farm were crowned Ireland’s Most Innovative Food Company last weekend in Belfast at the Irish Times Awards, where we beat off some of the best companies in the land like Glenisk and Mash Direct. If we do not maximise on this win it will just be an ego boost and we have not got time for ego here with so much work ahead. 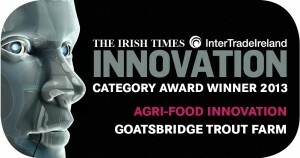 Good news for Goatsbridge as we embark on our journey in the export market. We are taking a stand at the Brussels International Seafood trade show for the first time so wish us luck.